Sometimes you want a roast but you don’t want a roast roast. I’ve come up with this simple dish to cover those days. 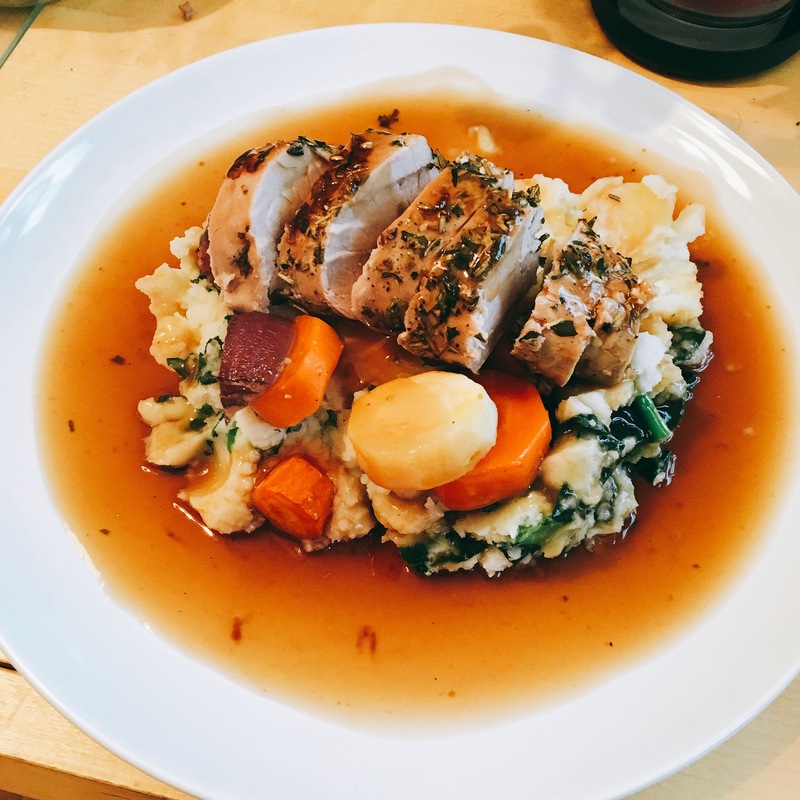 Roast pork fillet with roast vegetables and cavolo nero colcannon. In a roasting tray, pour your olive oil in, mix with some salt and pepper plus your chopped thyme and rosemary. Take the pork fillet and rub the mixture all over. I then wrapped the meat in foil and left in the fridge for an hour or so to let it soak up the flavours. This isn’t necessary if you don’t have time. I set the roasting tray aside for later. 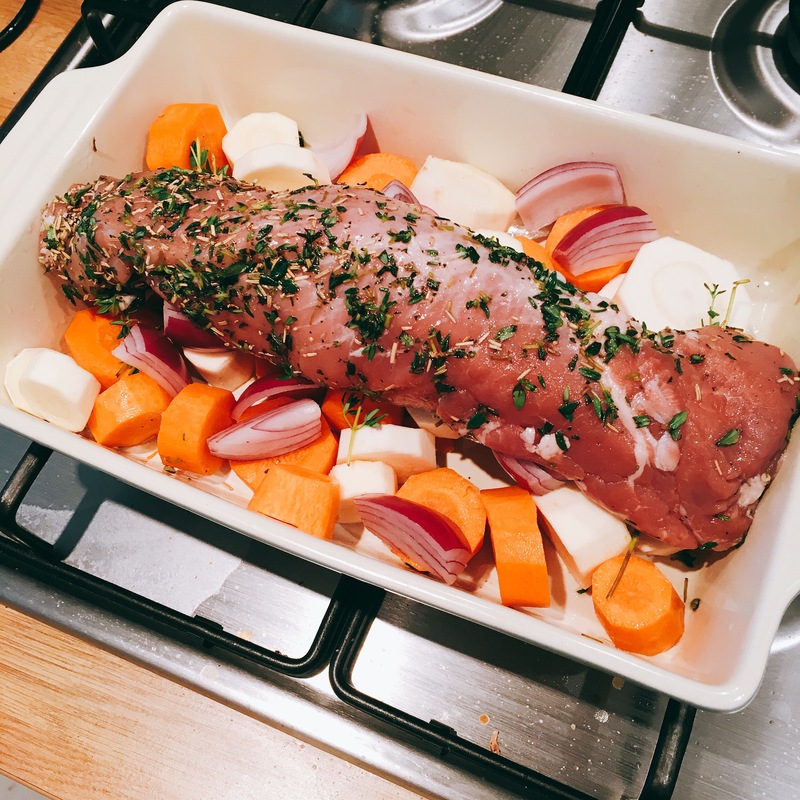 When you’re ready to cook, take the pork out the fridge, throw your parsnips and carrots on the bottom of the roasting tray then rest your pork on top. Take the rest of the thyme and arrange around the pork on top of the veggies. Loosely cover the pork with foil and pop in the oven (fan 180) for 40 minutes. Just before your 40 minutes are up, boil the kettle to make up your 200ml of stock and to put your potatoes on for the mash. 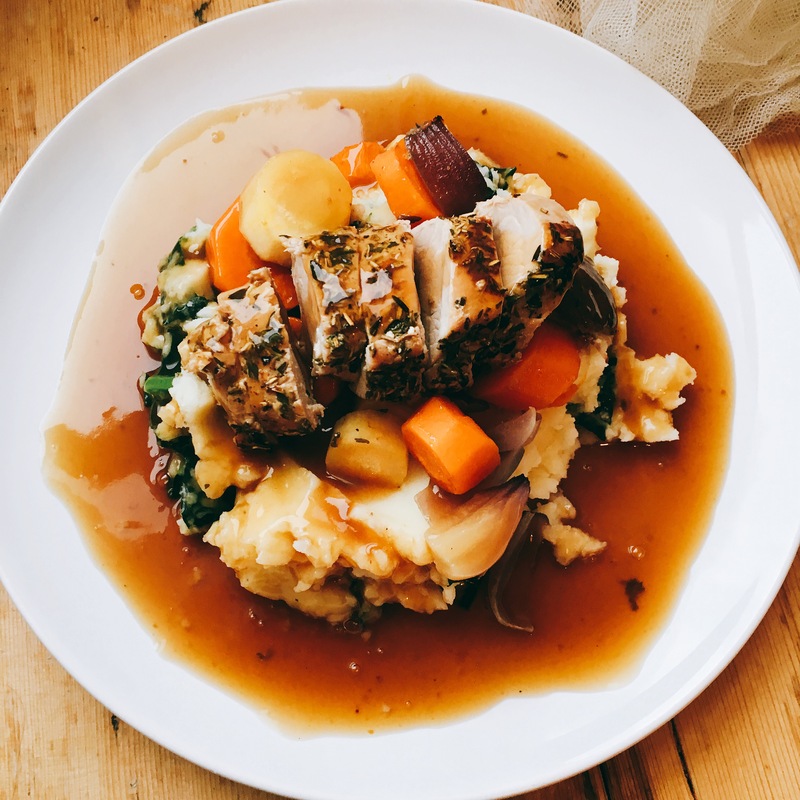 When the pork has been roasting for 40 minutes, remove from the oven, pour the stock over the vegetables and get rid of the foil. While the pork is back in the oven, put the potatoes on to boil, they should take about 10-15 minutes if chopped into nice small pieces. When the potatoes are ready, take a little of the cooking juice to blanch the cavolo nero in a small pan. 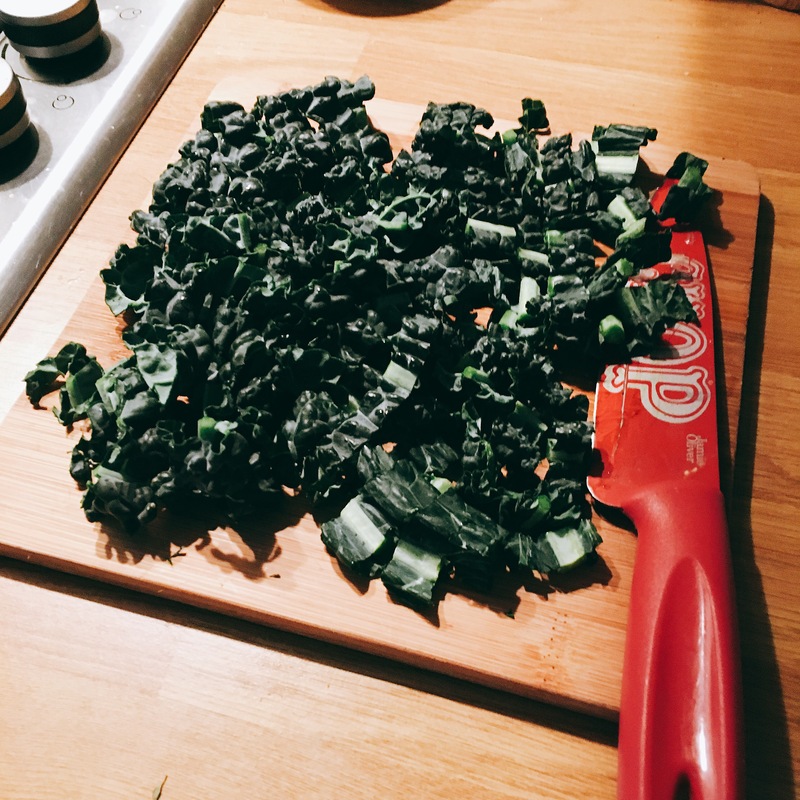 The cavolo nero only needs 2-3 minutes. The 20 minutes for the pork should now be up. 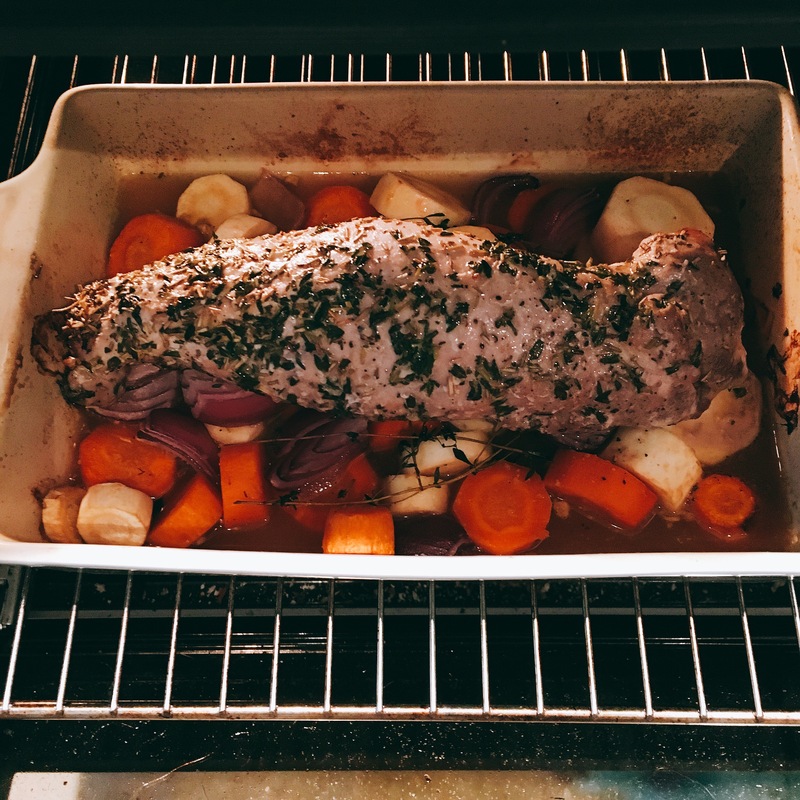 Take out of the oven to rest for a few minutes before serving. Drain the juices and stock from the dish to make the base of your gravy. 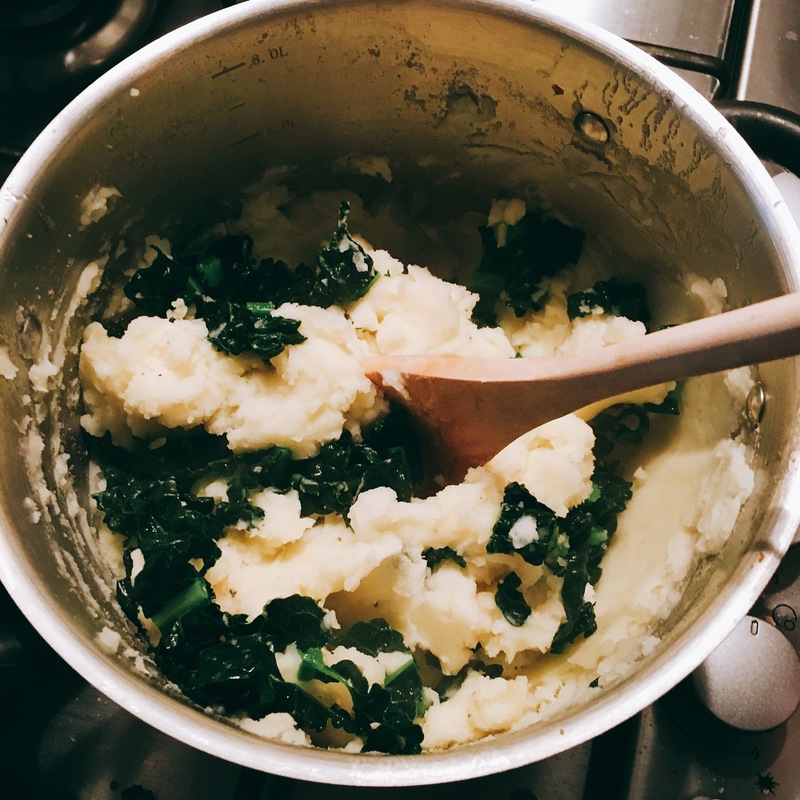 While the cavolo nero is blanching, drain the potatoes, add a generous knob of butter and mash thoroughly. 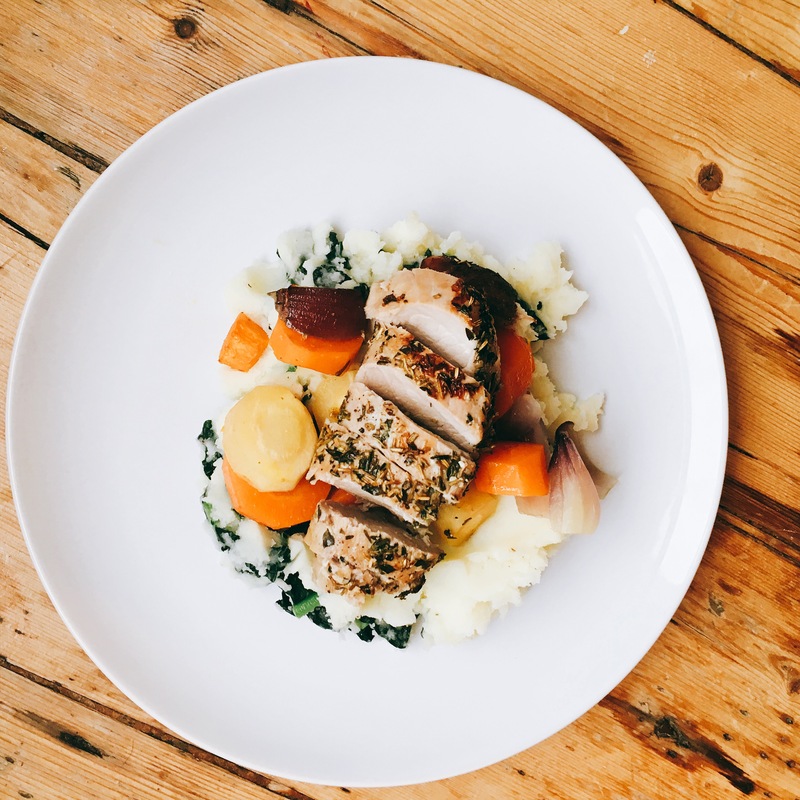 When the cavolo nero has softened, mix it evenly through your mash to make your colcannon. Add salt and pepper to taste. Add a couple of spoonfuls of gravy granules to your base along with some extra water (to desired thickness) I had about 200ml base with 3 heaped teaspoons of gravy granules and 200ml of hot water. 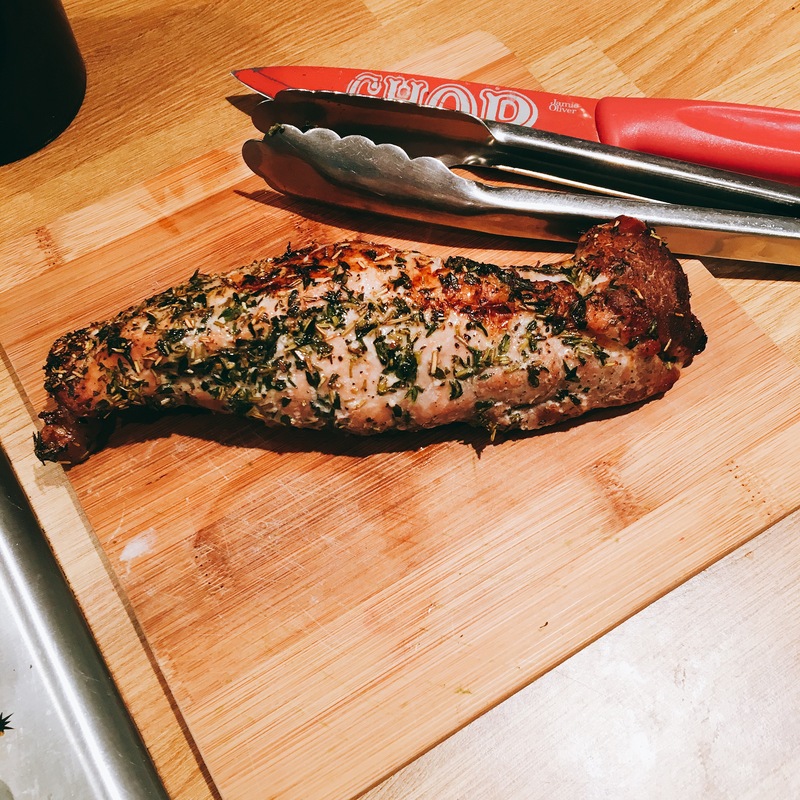 Slice up the pork fillet. Pour gravy over the top.